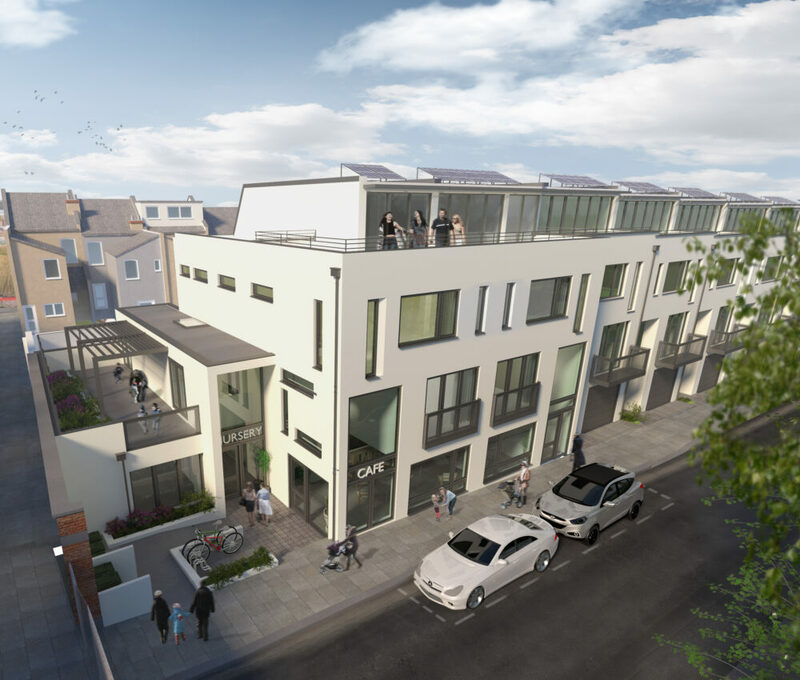 A development in south Bristol, providing nine new contemporary terraced houses and a commercial unit, including a cafe, a nursery and offices. 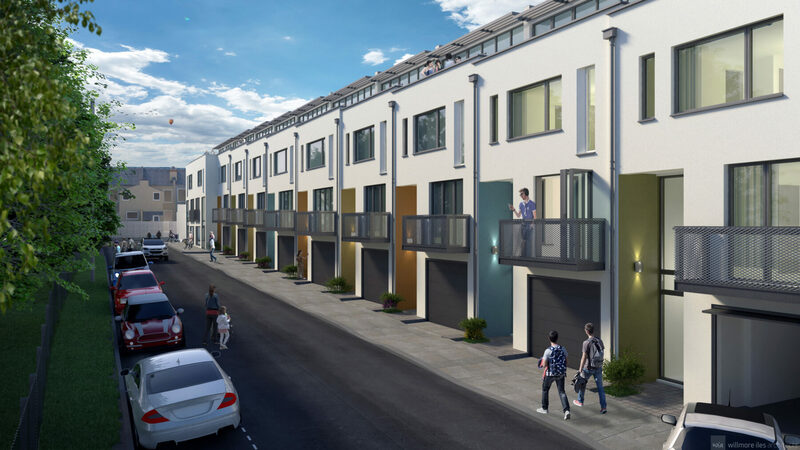 Lydstep Terrace provides 9 contemporary three storey houses overlooking Dame Emily Park in the heart of Southville, Bristol. 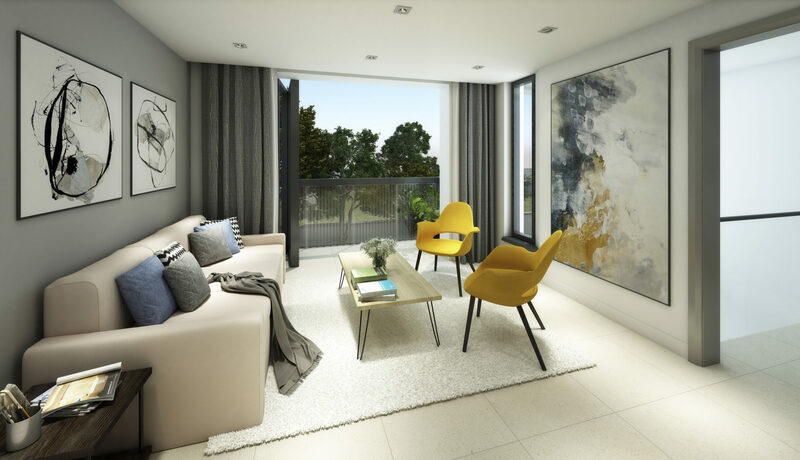 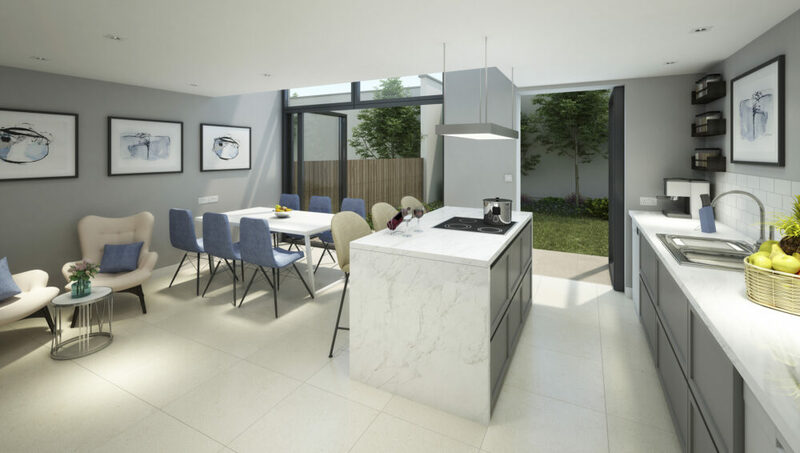 The 5 bedroom family homes offer generous kitchen dining rooms, studies, garages and a living space that can be divided into three or configured for open plan living. 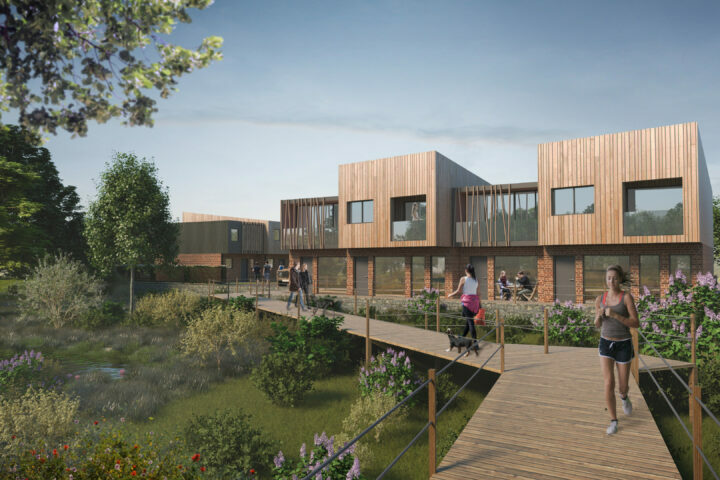 The children’s nursery and cafe will provide a welcome community facility adjacent to the park. 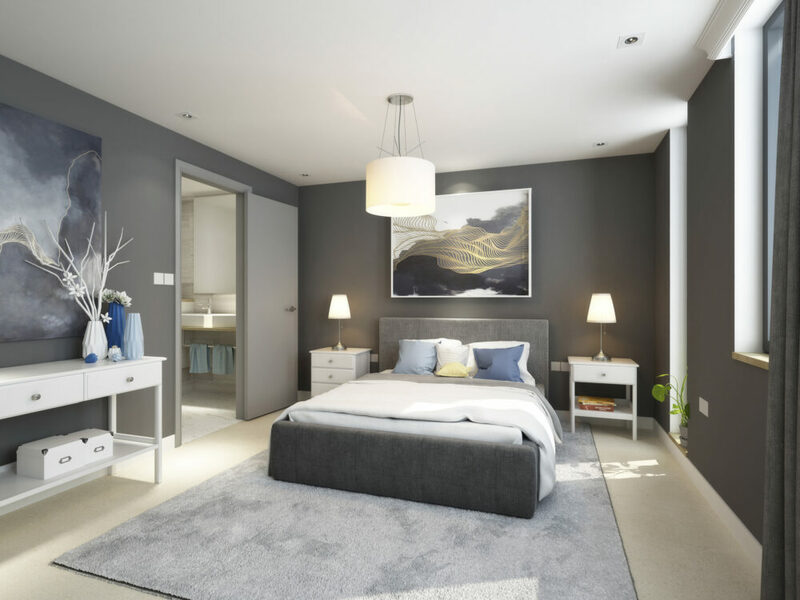 We analysed the existing planning consent for the site and worked with our client to reconfigure the house layouts to improve the quality of the spaces provided. 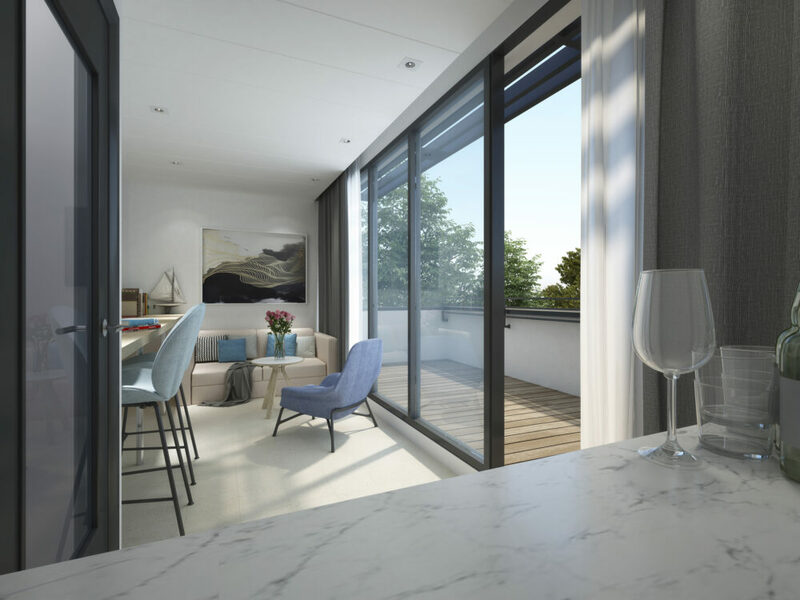 For example, re-configuring the living space to allow a separate cinema room. 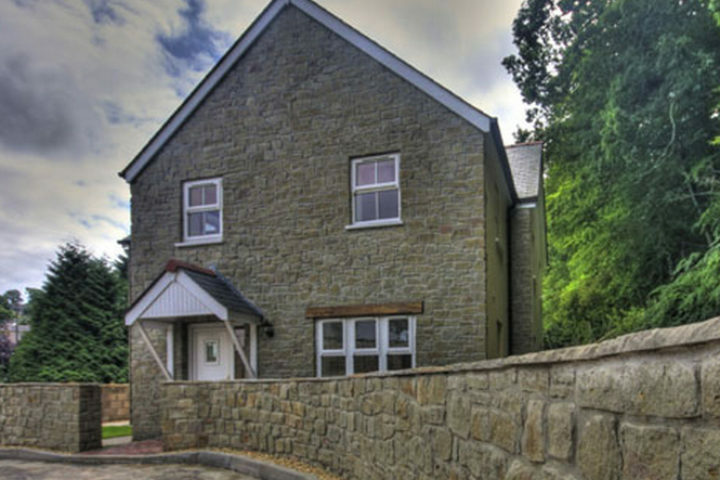 We also maximised the opportunities for the commercial units, whilst ensuring they were compliant for uses proposed.